Sergeant Daniel L. Bukowski was born September 19, 1921 in Erie, Erie County, Pennsylvania. He was the son of John Frank Bukowski and Theresa Filipkowski. In 1940 he was recorded living with his parents at 639 Twenty First Street in Erie, Erie County, Pennsylvania. On October 4, 1942 he enlisted with the United States Army at age 21. On December 17, 1945 he was discharged from military service. In 1946 Young American Patriots was published. The collection of books was compiled to preserve the lives of the American men and women who served in World War II. The books were arranged by state. A biography for each soldier includes: name, branch of military served in, birth date, date and place entered service, and parents' names. "World War II Young American Patriots, 1941-1945 Bukowski, Daniel. Sgt.,Army. Age 24. Entered Serv. Ict. 24, 1942. Cp. Claiborne; France; Ger. ; Agrica; N. Zealand; Australia. Awarded GCM, As-Pac Rib., EAME Rib. Disch. Dec. 17, 1945. Attended Erie Tech HS. Catholic. Son of Mr. and Mrs. John Bukowski. Husband of Tillie Szulc Bukowski, 625 E. 14th St., Erie, Pa."
His entry in Young American Patriots indicates he was a decorated solider and received several military service awards. The military service awards he received are detailed below. 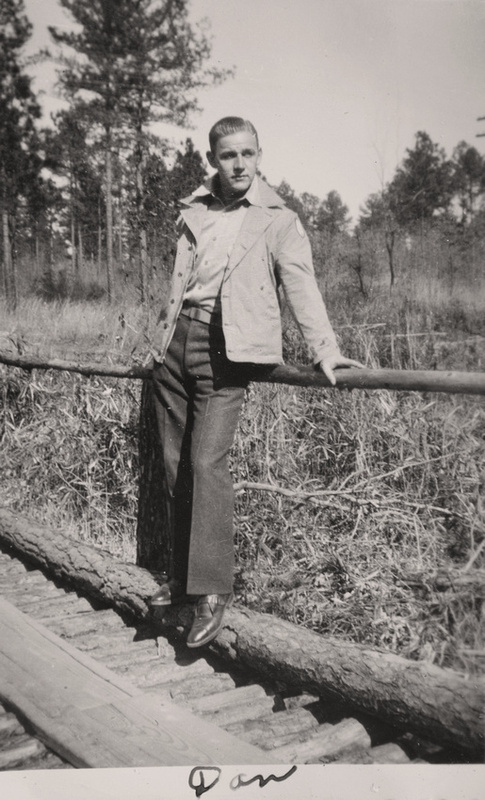 The photograph of Daniel is from the Helen Tillie Bukowski Collection. Photographer Unknown. Editing and digital restoration by Michelle M. Murosky. Daniel L. Bukowski is my 1st counsin 2x removed. He is the son of John Frank Bukowski. John Frank Bukowski is the brother of my great-grandmother Helen Tillie Bukowski. Helen's son Arthur Murosky is my paternal grandfather. Pennsylvania Historical and Museum Commission; Harrisburg, Pennsylvania; Pennsylvania Veterans Burial Cards, 1929-1990; Archive Collection Number: Series 2-1; Folder Number: 573. Ancestry.com. 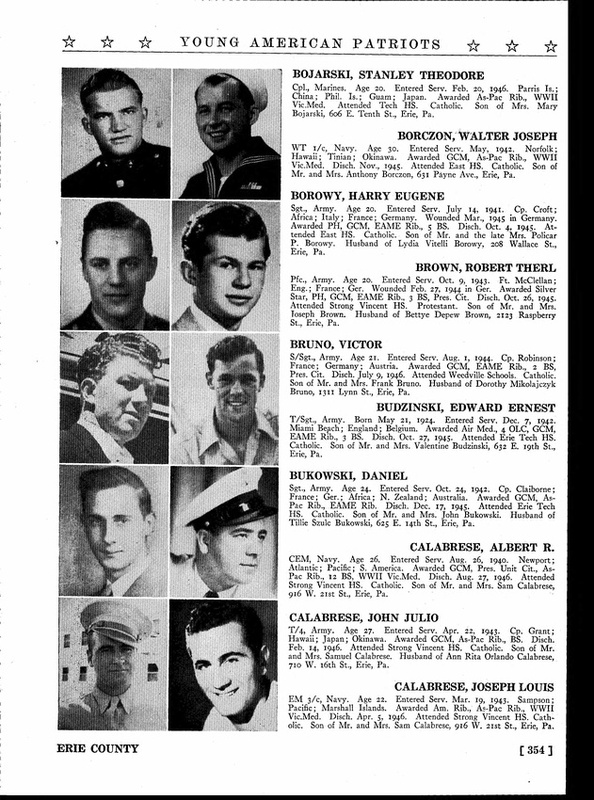 World War II Young American Patriots, 1941-1945 [database on-line]. Provo, UT, USA: Ancestry.com Operations Inc, 2007. Record for Daniel Bukowski Page 354.